A Dance of the Forests. London: Oxford University Press, 1963. First edition of the Soyinka’s first book. Octavo, original illustrated wrappers as issued. Signed by Wole Soyinka on the title page. In near fine condition. The Lion and the Jewel. First edition of this early Soyinka play. Octavo, original wrappers as issued. 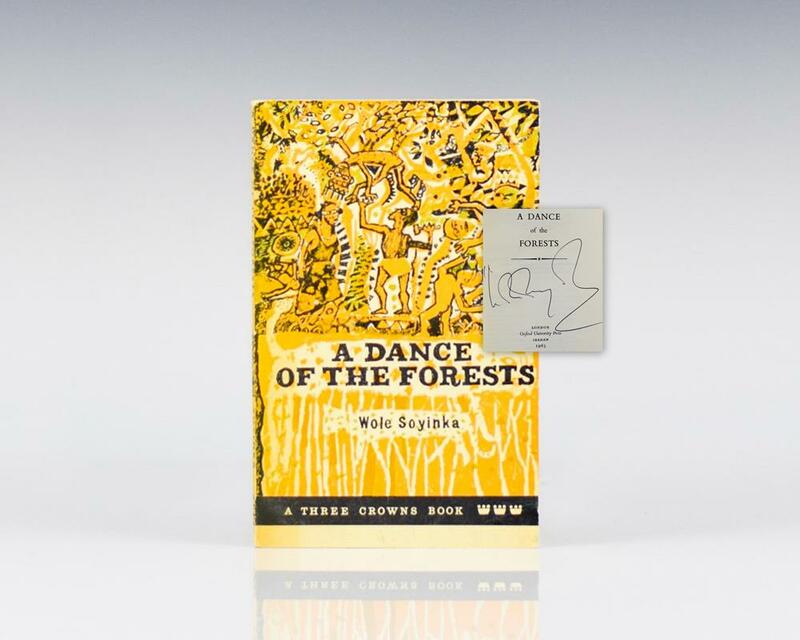 Signed by the author on the front free endpaper, “For a fellow explorer Wole Soyinka.” In fine condition. New York: Hill & Wang, 1971. First Edition. Fine in a near fine dust jacket that shows the lightest of rubbing to the top spine. Signed by the author. Mandela’s Earth and Other Poems. First edition. Octavo, original half cloth. Fine in a fine dust jacket. Signed by Wole Soyinka on the title page. Death and the King’s Horseman. New York: W.W. Norton & Company, 1975. First edition of the Soyinka’s classic play. Small octavo, original cloth. 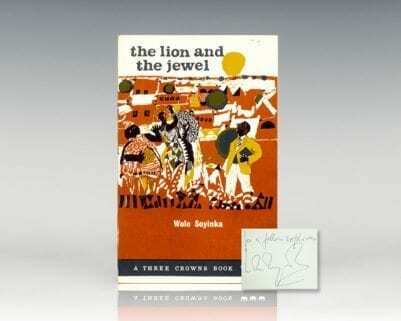 Signed by Wole Soyinka on the title page. Near fine in a near fine dust jacket. The Burden of Memory, the Muse of Forgiveness.